Fade Away Stretch Mark and Scar Fade Oil has been clinically proven to dramatically reduce the look and appearance of stretch marks and scars. The fast acting ingredients begin to work instantly to fade the colour of the stretch marks and also smooth the texture of scars. 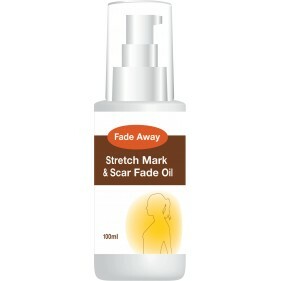 Fade Away Stretch Mark and Scar Fade Oil will stop and prevent any further stretch marks from appearing; the oil contains 100% safe and natural herbal ingredients, to provide your skin with essential vitamins and minerals needed to repair and recover, reinforce and visually improve the skin surface. • Proven to dramatically reduce the appearance of stretch marks, scars!• Fades the colour of the stretch marks and also smooth the texture of scars!• Stop and prevent any further stretch marks from appearing!• Repairs, recovers, reinforces and visually improves the skin surface! Fade Away products have been clinically proven to reduce the appearance of stretch marks! • FadeAway products contain natural ingredients!• Our products are tested & developed alongside an expert team!• FadeAway products guarantee great results, fast!• Made in Great Britain! 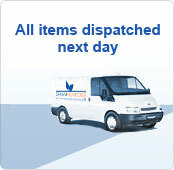 Stretch marks can appear anywhere on the body where the skin has been stretched. They occur when the lower layer of the skin containing collagen and elastin, which gives our skin its elasticity, becomes damaged by a rapid weight loss or weight gain, such as in pregnancy. The purple appearance of the stretch mark on the skin is caused by the small blood vessels beneath the surface, which become more visible with stretching. Stretch marks are visible linear scars.